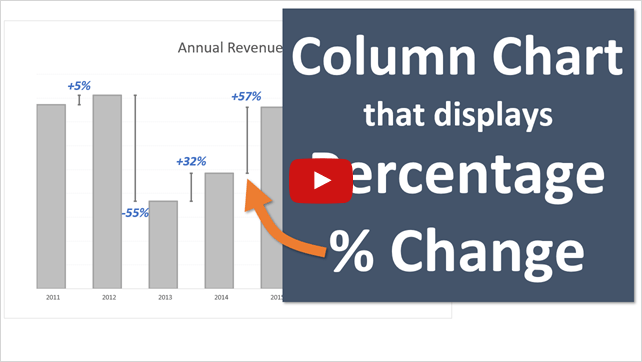 Learn all the skills needed to create amazing charts and dashboards in Excel. This online video course will help you communicate with your data effectively and wow your boss and colleagues. Are you interested in learning how to improve your charting skills and create world class dashboards in Excel? 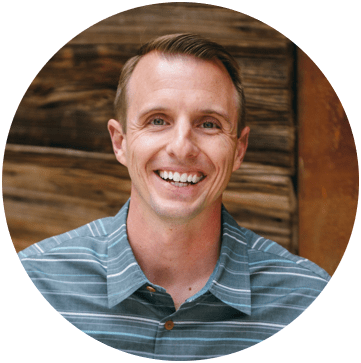 My friends Phil and Mynda over at My Online Training Hub have just opened a new session of their highly acclaimed Excel dashboard course, and enrollment is only available for a limited time. I have personally paid for and taken this course on my own, and believe it is outstanding. I am a firm believer in continually learning and developing my Excel skills, and I feel that this course was a great investment for me. Checkout my video review of the course below. I take you into the members area of the course to show you exactly what you get. I also explain all the benefits of the course and how it helped me. Why are Dashboards Important to Learn? The amount of data we collect is growing at a very fast rate, and organizations are looking for employees that have the ability to analyze and present this data in a clear and simple manner. As an Excel user it is extremely important that you know how to utilize the charting functions that Excel offers. The default charts in Excel don't always make this easy and there is quite a bit of skill and knowledge required to create a successful chart or dashboard. The Dashboard Course will help make you an expert at working with charts and creating interactive dashboards that will impress your boss, colleagues, and audience. What's Included in the Dashboard Course? The course is a self-paced online course with videos and sample workbooks to download. You will get access to over 10 hours of video! It's a huge amount of training material, but don't let this overwhelm you. The videos are divided by topic and each video is around 5 minutes or less. The course syllabus is organized nicely, making it easy for you to find a video on a specific topic. You can watch a few videos during your lunch break, and become an Excel and dashboard wizard in just a few weeks. The 10 hours of video includes 6+ hours on dashboards and 3+ hours on general Excel topics that will help you build a foundation for the more advanced dashboard techniques. There are many great benefits to taking this course, and you can read all the details at the following link. I have taken quite a few different Excel courses, and here are some of the reasons the course from My Online Training Hub stood out to me. 10 hours of video that is divided into small 5 minute increments by topic. This allows you to focus on learning and mastering one topic at a time. Long videos can drag on and lose your attention quickly, but Mynda's videos are quick and to the point. Watch the videos any time and in any order you chose. You might want to watch a video on a specific topic for a project you are working on, and the course syllabus makes it easy to see all the topics that are included in the course. Excel workbook files are included with each topic so you can follow along and immediately apply what you've learned. This gives you a true hands-on experience in an online course. Learn advanced formulas and functions needed to organize your data for many types of charts. The foundation of any good chart is its data, and Mynda does an excellent job of explaining some of the advanced techniques needed to create charts that will display your findings. Professional quality throughout the entire course keeps you focused on learning. Having produced online content myself, I have a great appreciation for how much hard work and attention to detail goes into this course. It is really well organized and contains some of the highest quality content I've seen in online training courses. Learn how to structure your data for use in charts. If you read my last post on structuring data for pivot tables, you know that it is extremely important to understand how to structure your data before you can analyze it properly in Excel. The same methodology applies with creating charts, and can get even more complex. Mynda does an excellent job of explaining this throughout the course with various types of charts. No matter what you current Excel skill level is, I believe you will find this course extremely beneficial for your career. Personally, I consider myself to be at an advanced level, but I definitely don't know it all. I take every opportunity I can to develop my skills and learn. I'm helping promote this course because I believe it is well worth your money and will provide a tremendous value to you. The course will be closing registration soon, so get signed up before it's too late. I also have an article where I answer some frequently asked questions about the course. *I want to let you know that I am an affiliate partner with MyOnlineTrainingHub, which means I make a commission if you click the links above and purchase the course. I promote this course because I feel that it really helped me improve my Excel skills, and it's an excellent value. thank Jhon Your Ms excel videos are very powerful to learn excel . i get many tricks . God help you more ……. Jon, I love your site. It shows your passion for what you do. Thanks for the nice compliment Christopher. That means a lot coming from such an esteemed member of the Excel community like yourself. I am really glad that I can share my knowledge and help others learn.